This usually means lots of protein shakes and flavorless grilled chicken breasts, but we’ve turned out some small, easy-to-eat breakfast snacks that are packed with protein AND don’t taste like they’re good for you. They also reheat well for breakfast or pre-gym snacks throughout the week. But for those of you that aren’t worried about ‘bulking’ up muscle to look good at your next circuit party*, these are amazing just to serve for breakfast. These were even tested on notoriously picky children that devoured them, and more importantly were unable to speak while doing so! 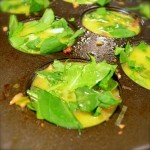 PS – making these in a mini-muffin pan and serving them for guests at brunch would make them even gayer cuter! *A circuit party is something “party gays” attend. It’s basically a vodka/sugar-free Red Bull packed weekend of partying shirtless, dancing all night long shirtless, and basically any activity you can think of… shirtless. 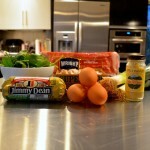 *We used 60% reduced-fat Jimmy Dean pork sausage. There was literally NO grease from the sausage to drain. 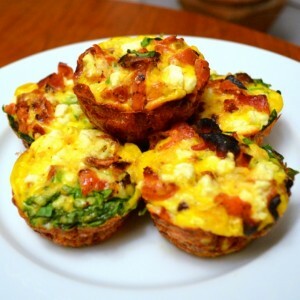 You could also use turkey breakfast sausage and turkey bacon for an even leaner muffin. 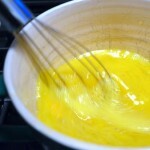 Whisk together eggs, milk, dry mustard, and salt and pepper in a large mixing bowl. Set aside. In a very large skillet over medium high heat, cook bacon (if using) until slightly crispy, about 8 minutes. Set aside, crumble bacon and drain grease from pan. In the same skillet, brown the sausage. 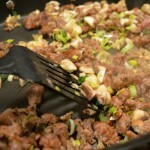 When the sausage is a few minutes from being completely browned, add the mushrooms and leeks. Continue cooking until sausage is done and leeks and mushrooms have started to soften. Generously spray a muffin pan with non-stick spray. 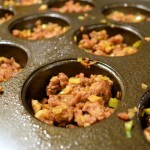 Divide the sausage mixture between the 12 muffin wells. Next, layer the chopped spinach over the sausage. Then pour the egg mixture over each ‘muffin’ to just under the top of the well. Also, use a fork to very lightly press each mixture so the egg is evenly distributed. 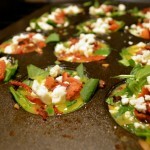 Finally, top each well with the crumbled bacon and feta cheese. Place in the oven and bake for 25-30 minutes or until centers of muffins are firm. 3 Responses to "muscle muffins"
My brother John from QK made these for us for our Christmas family weekend and they were so good!! My 5 yr old really liked them too! Good Flavor! 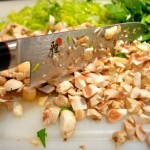 These look fantastic, can’t wait to try out this recipie this weekend!! These are delicious! 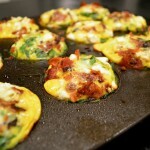 perfect to make in advance and keep in in fridge for breakfast!